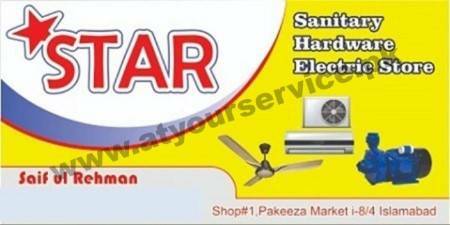 Star Sanitary, Hardware & Electric Store is located in Pakeeza Market, I-8/4, Islamabad. We deal with all kind of sanitary ware, hardware. and electric fittings and accessories. Plumber and Electrician services are available on phone call.